Rajkot is a popular tourist destination situated in the vibrant state of Gujarat. The city is located on the banks of river Aji and Nyari, around 245 kilometers from the capital city of Gandhinagar. The city attracts millions of tourists for its various cultural and scenic tourist attractions. The city is centrally located and provides an easy access to attractions like Rann of the Kutch, Somnath, Diu and Gir Forest. While Rajkot is a part of itinerary of many tourists across the country, the city is also famous as the residence of Mahatma Gandhi during his childhood years. The place is especially a tourist hub in the autumn season when it soaks itself in the celebratory colors of Garba and Navratris. Rajkot has a significant historical background as it was home to Mahatma Gandhi and many freedom fighters. 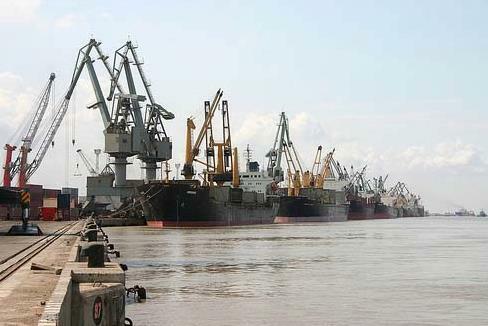 It is the major hub of the Saurashtra region of Gujarat state and was a capital of Saurashtra from 1948 to 1956. The city played a pivotal role in the Indian Independence Movement. It was earlier a part of Bombay state. It merged into Gujarat state later after May 1960. 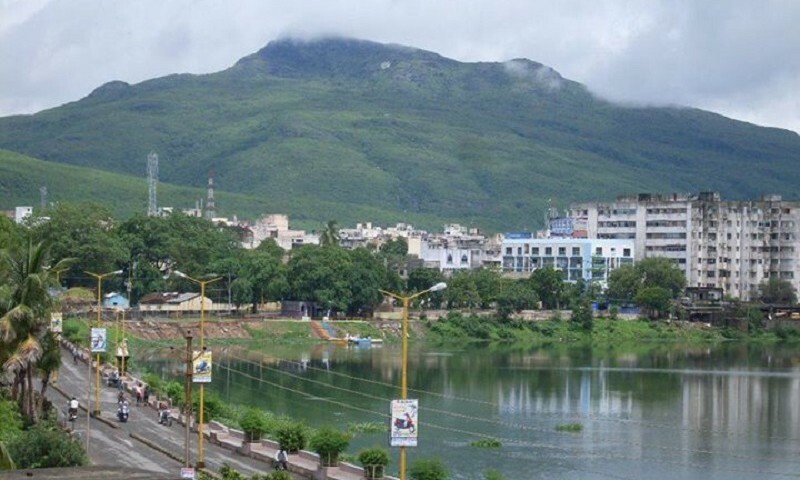 The city is surrounded by important tourist destinations like Junagadh, Amreli, Kutch and Jamnagar. Rajkot has typically tropical weather just like the rest of Gujarat. The weather is mostly dry and arid in summers from March to June. The winters are pleasant yet short-lived. Winters are the best time to visit Rajkot when the maximum temperature goes up to 20 degree Celsius. The autumn months are also mildly pleasant and the temperature stays in the range of 18 to 20 degree Celsius. It is the best time to visit Rajkot to witness the Garba celebrations. Besides, that monsoon season is relatively humid yet pleasant for touristy activities. From June to September, you can have an optimal temperature to explore the city. It is advisable to avoid summers because the maximum temperature can go beyond 45 degree Celsius. On a whole, winters are pleasant and the best time to make your travel plans for Rajkot. 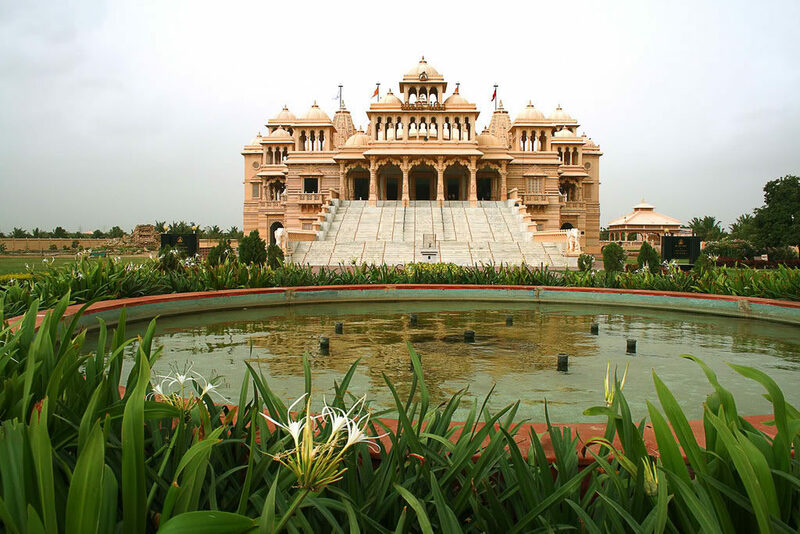 There are a number of tourist spots and landmarks to visit in and around Rajkot. The Aaji Dam is a colonial gem. If you are a history buff, you can visit Watson Museum and Library. It holds a rare collection of artifacts and things dating back to Indus Valley Civilization. The Rotary Doll museum is another gem that showcases dolls collection from the world. If you are a religious traveler then you shouldn’t miss on the famous temples of Rajkot like Omkareshwar Mahadev Temple, the Jain Derasar and the Swaminarayan Temple. The city of Rajkot is famous for its savory Gujarati cuisine and mouthwatering delicacies that you must try while you are there. The distance between Rajkot to Gondal is roughly 40 kms. It takes more than an hour to reach this place making it feasible for weekend trips. 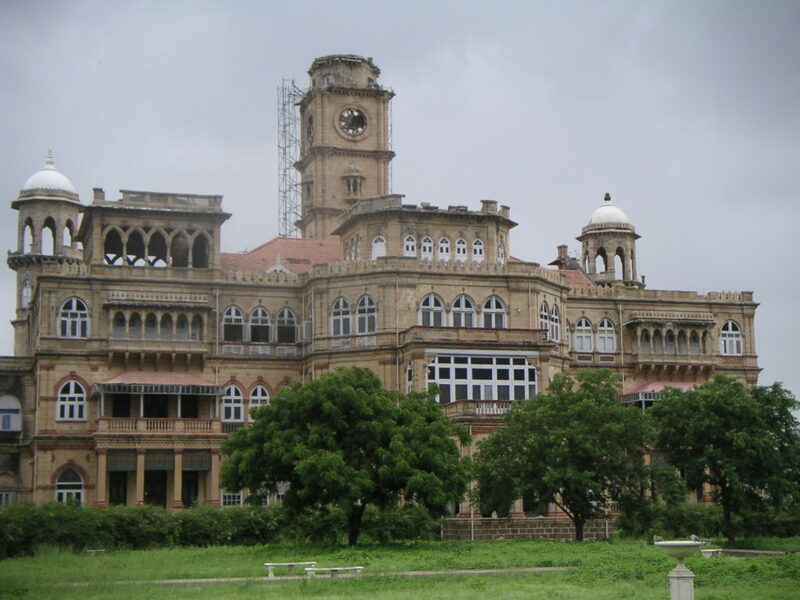 – Riverside Palace: The palace was built by Maharaja Bhagwat Sinhji in 1875 AD for his son Yuvraj Bhojraji. 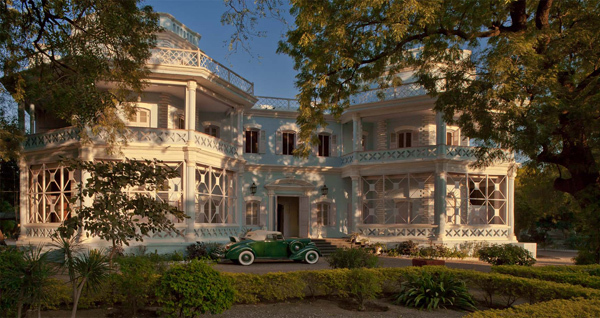 The palace lies beside river Gondal and sets in the backdrop of lush gardens. You can witness colonial style furniture and pleasant antique sit outs overlooking the river. – Orchard Palace: It is a huge complex of fruit orchards and lawns with a special ‘room of miniatures’ having a splendid collection of miniature paintings and antique furniture. – Royal garages: This place boasts of extensive collection of vintage cars, limousine and sports cars along with a fleet of vehicles dating back to World War II as well as post-war period. – Naulakha Palace: Built in 17th century, it is the oldest and most beautiful palace in Gondal. The palace was built in nine lakhs and hence named so. It has a stone carving, lush lawns, beautiful courtyards and exquisite stone carvings. It has a grand Durbar Hall inside which holds period furniture and Belgian mirrors along with splendid chandeliers. The two best places to stay in Gondal are Riverside Palace & Orchard on Palace Road, Gondal and The Riverside Palace at Ashapura Road, Gondal. Both the hotels are luxury options worth 4000 INR. The restaurant Dreamland is known for its excellent service and mouth watering delights. You can also try Kathiawadi Thali which is a typical Gujarati thali. – Kirti Mandir: This was the house of Mahatma Gandhi and his wife Kasturba Gandhi. It has a museum, library and a prayer hall. – Huzoor Palace: It is located at the end of Marine Drive and built in European style. You can see sloping roofs and huge windows that overlook the sea. The place is worth visiting for its neo-classical pillars and exquisite views. – Sartanji Choro: The three storey grand summer pavilion is built in Rajput style in the middle of a garden. Here Rana Sartanji used to compose poems and find solace in nature. – Visit Porbandar to shop from a wide range of textile and the famous Bandhani work. There are many budget accommodations in Porbandar which includes Hotel Flamingo, Hotel Anil, Gujarat Tourism Bungalow, Hotel Moon Palace and Hotel Sheetal. Swati Veg Restaurant and Swagat Restaurant are the most famous eateries in Porbandar for their multi-cuisine delicacies. For fast food cravings, visit Shreeji Fast food. – The ‘Jewel of Kathiawar’ is known for its beautiful beaches and sanctuaries. Visit Poistra Beach for a peaceful escape and its picturesque views. – Visit Darbargarh to witness a subtle fusion of Rajput and European architecture style. 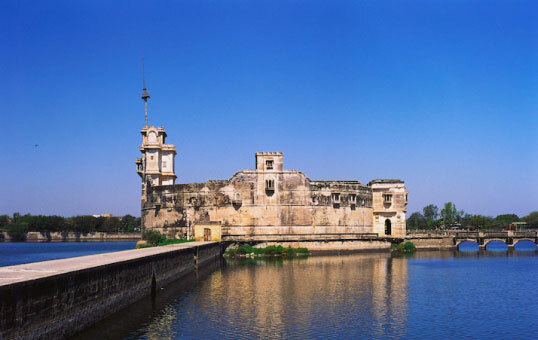 – The Lakhota Palace on Ranmal Lake is shaped in the style of a large bastion. An arched stone bridge has a fine collection of wooden carvings, sculptors, medieval coins, ruins and inscriptions. – Bala Hanuman Temple is a famous religious site to pay your religious visit. The place has continuous chants and prayer of Shri Ram, Jai ram, Jai Jai ram since August 1, 1964 and has made a world record. The best time to visit it is early evening. – Khijadiya Bird Sanctuary and Bardar Sanctuary are must visits for their unique views and ancient town settlements. – Kotha Bastion is a famous old well where you can draw water by blowing a hole in the ground. There are many good options available within INR 2000. Hotel Viraj Inn and Hotel K D Comfort provide luxurious and comfortable stay within budget. Rajwadu the Village Restaurant is the most famous one along with Atithi Restaurant and The Saffron. – Ashoka’s Rock Edict is a huge boulder located en route Mount Girnar hill. The inscriptions date back to 250 BC and have Sanskrit language and Brahmi script inscribed. – Upperkot Fort was built by Chandragupta Maurya in 319 BC and is famous for surviving 16 sieges in the last 1000 years. The ornate triple gateway forms the entrance. otel Harmony in Junagadh is a decent stay in affordable price charging from 1000 INR onwards. The famous restaurants of Junagadh include Petals Restaurant and Geeta Lodge. – Shah bava Dargah is a famous religious site for Muslims and Hindus equally. – Make a visit to the Royal oasis, the summer place of royal family of Wakaner. There are several budget options available in Wakaner like Avadh Hotel and Hotel Labh. If you are looking for more luxurious options, then go for Neemrana’s Darbargadh Palace and Hotel the Grand Vaibhav. Try the delicacies at street food (Nasta Gali) or Jain Bhojanshala for scrumptious local delights. – Sapatura, the hill resort of this area can be a point of interest for its pleasant weather and forest range of Sahaydri surrounding it. It has cool temperature and you can explore the tribal culture around this area. – The monument of Mahatma Gandhi and Bardipara Wildlife Sanctuary is worth a visit. There are many luxurious options like Radisson Hotel as well as budget options like Hotel Aarti International. Gandhidham has many popular delicacies like Dabeli which is a popular local food. Apart from this, you can visit Shiv Regency for Gujarati Thali. 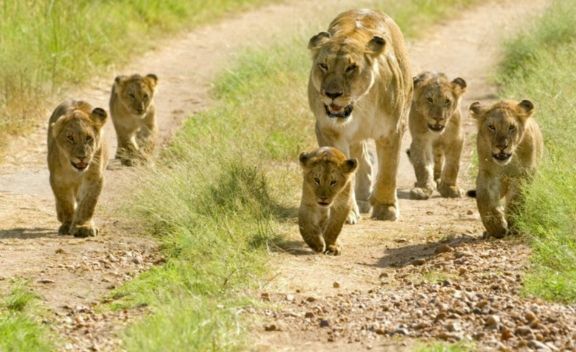 – One of the finest wildlife sanctuaries, Gir National Park is famous for being the only habitat of Asiatic Lion. – The main wildlife attractions besides lion are Wild Boar, bear, panther, deer, leopard, jungle cat, hyena, mongoose, jackal, porcupine and four horned antelope. – Gir Orientation Centre, located inside the premises of Sasan Guest House Campus is an interesting and knowledgeable place with the complete information about Gir Forest. You can see photographs, paintings, clay models and several images of the inhabitants. You can stay at luxurious Gir Jungle Lodge and The Fern Gir Forest Resort which are famous for their unparalleled luxury stay. Besides, you can go for budget options like Hotel Aditya that comes under 1000 INR. It has a number of local and multi-cuisine options with Hotel Aditya and Gir Rajwadi Hotel being the best ones.